How Much Does Scalp Micropigmentation Training Cost and Is It Worth It? Beauty standards are high nowadays and everyone strive towards looking perfect. Beauty industry doesn’t only focus on women anymore – men of modern society pay more and more attention to how they look and invest a lot of money in their physical appearance. An issue that worries a great number of people, especially men, is a hair loss. Being hereditary, hair loss is not something you can easily prevent. Many lotions, crèmes, shampoos, sprays and other hair products promise to stimulate hair growth. Unfortunately, it usually turns out that they just postpone the process of losing hair, while most of them are completely useless. Not many options are left for people who suffer from hair loss. Hair transplantation is one of them, but if you want it to be perfectly done, be prepared to pay a lot of money. After all, it is a complicated surgery and there is no guarantee that it will be successful and that you will be satisfied with the final result. Also, wearing a wig is not even an option since it never looks natural and you are not going to fool anyone. Luckily, there is a new procedure that can help not only balding men, but also women who have a problem with thinning hair. It is called scalp micropigmentation and here is what you should know about the procedure, trainings and the cost of both. Scalp micropigmentation (SMP) is a procedure with similar technique to the one applied at popular eyebrows microshading. A pigment is inserted into the surface of the scalp, thus providing an effect of thicker hair. There are different styles and options that hair micropigmentation offers, depending on which area of your scalp suffers hair loss, i.e. which area needs to be treated. The result of scalp micropigmentation is a natural hair line and the illusion of a scalp full with hair. The procedure usually requires two treatments, sometimes even three. It is perfect for people who want to add density to their hair and to look modern and younger. It has only recently appeared on the market, so its time is yet to come, as soon as people discover how beneficial it is. How Can You Become a SMP Artist? As already mentioned, scalp micropigmentation is a developing trend, so if you already own a beauty salon or you are thinking about starting your own business, think about this profitable technique. Of course, the first thing you need to do is to find a suitable training that will enable you to become a professional SMP artist. 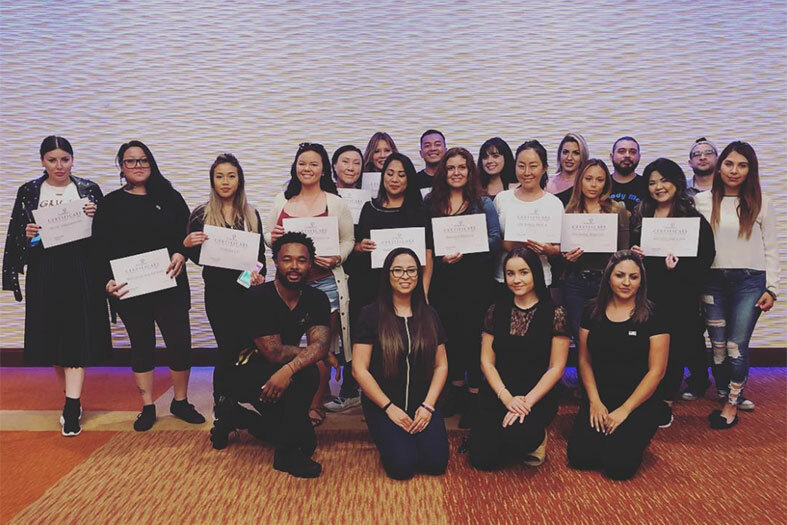 In case you want to master this technique, you should learn from the best and the Art of Beauty Academy USA is offering licensed trainings to help you become a professional in this area. Depending of your preferences and disposable resources, the Academy offers you both live and online courses. 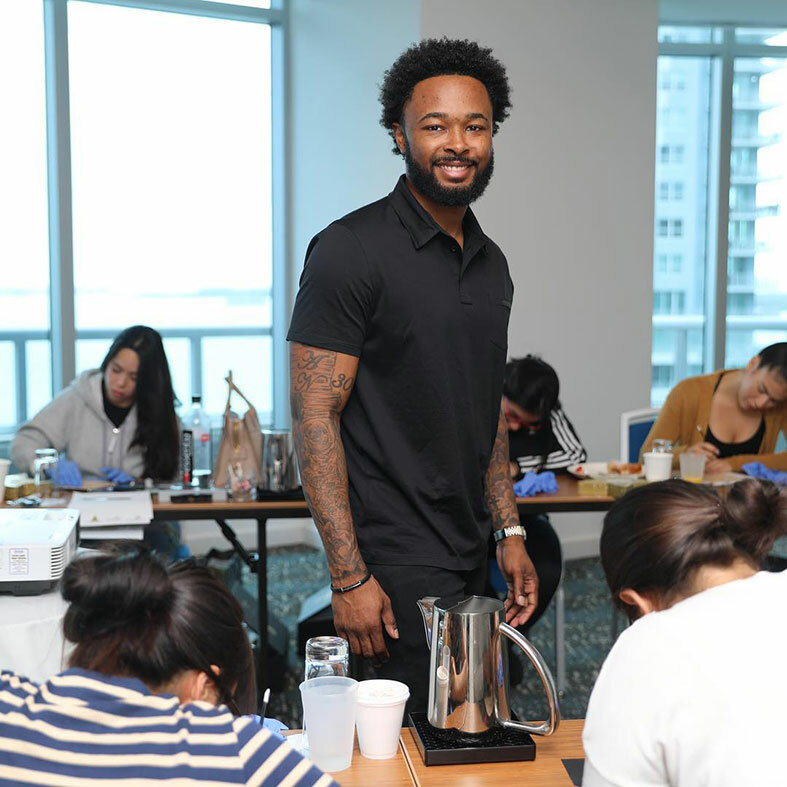 When it comes to live trainings, they provide a detailed guide through the entire process of scalp micropigmentation, giving you the chance to practice on live models. However, they cost more than an online training since the price of renting out the training facilities is included as well. In addition, the instructors need to be paid and the price of their courses depends on their skills and their popularity. If they are a household name it is likely that they will charge more. Live trainings usually last for less than a week, most often for 2 days, and the classes are held in small groups from 4 to 6 people. After the theoretical part, you have an opportunity to practice on live models. Scalp micropigmentation requires extraordinary precision and that is why practicing on live models is essential. Professional kit and machines are available as well, usually at additional cost. If trainees already have their own kit and machines, they are almost always allowed to bring them to trainings. You also have to bear in mind that you will need to pay for the gas and the accommodation if the training is not held in your town. How Much Does Live Scalp Micropigmentation Training Cost? Live trainings cost more than online trainings, and the price in the States goes from $4000, depending on the reputation of the academy. Since the average cost of training in the States goes between $4,200-$5,300, there’s no major difference from the rest of the world. In UK, for example, expect to pay around £3000 which is equal to almost $4000. If we compare leading clinics around the world, prices are also around £3000, or higher if the kit and the machines are included. If prices of the leaders in this industry are compared, we can see that they depend on the equipment provided as well as skills of the instructors. Also, the recognition of the certification, the modernity of the facilities where the trainings are held and the access to the location are also the factors that are included in the price of the trainings and the reputation of a company. Some top providers’ prices go from $5000 up to $7000. When you choose the training course, there are many things that you should consider besides the price. Do the research of how skilful and reputable the instructors are and what the course includes. The Art of Beauty Academy offers live trainings held by top professionals in the beauty industry at affordable prices. The quality of the PhiScalp micropigmentation training is recognizable worldwide since is licensed by PhiAcademy, world’s most reputable academy and certificate provider. Being less expensive than live trainings, online trainings are becoming more and more popular, since they save time and money. That’s why online PhiScalp micropigmentation training by Art of Beauty Academy is perfect for people who feel more comfortable when learning from the conformity of their homes, or others who are unable to attend live courses due to the distance. 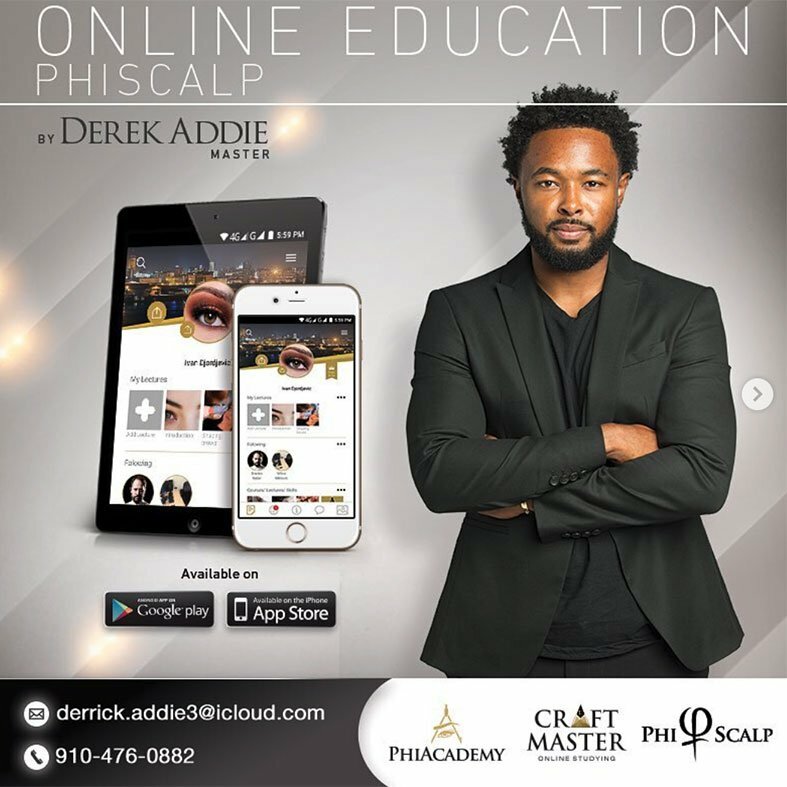 After signing up for an online training, you will gain access to the Craft Master app which will be your main guide through the course. The application consists of the great number of video and audio files, as well as information about everything you need to know. In order to become a professional, you must learn not only how to do the micropigmentation, but also some other vital things. This includes different types of skin, the cause of hair loss, everything about the healing process and other important things. The app will provide theoretical introduction on techniques, procedures and business. As you make progress though the lectures, some tasks will be given to you and your progress will be supervised by a SMP master artist Derek Addie. Besides the app, once you apply for the training, you will receive a premium micropigmentation kit which you will use to put your theoretical knowledge into practice. The kit is a set of tools, products and practice material necessary for the procedure and the machine is your main tool which you can’t do without. Online trainings last longer because not everything is immediately put into practice, which is the case with live trainings. Also, all the questions you might have, cannot be answered immediately. However, you will have a 6 months of an ongoing support by an instructor who can give further explanations in case something is not clear. One more advantage of the online training is that you can train at your own pace. There is no group to follow, so you can practice slower or faster. Some people need more time to master a technique, so the faster pace of the group might not suit them. Sometimes even after two days of a face-to-face training, people still need some additional information or gaps to fill because live trainings are too intense and fast for them. So, if you are learning online and on your own, you can rewind videos as many times you want until you understand the next step. Also, you can have the lessons whenever you want, unlike with live courses where you might skip a lesson is something unpredictable comes up. How Much Does Online Scalp Micropigmentation Training Cost? As already mentioned, online trainings are more affordable and less time-consuming. The average price is lower than for live trainings, since the training takes place at your home and you also do not need to include the cost of transport and accommodation. Also, there are some drawbacks too – even thought you can watch an online demonstration on live models, you cannot practice on one. As shown above, prices are much more affordable than with live trainings. Also, if you have your own machine, you can choose the cheapest option with brand new kit only. Not many academies offer online trainings, and even if they do, very few of them provide the Certificate of Completion. Art of Beauty Academy is one of the rare academies that offer not only live, but also online trainings, designed by professional SMP artists. 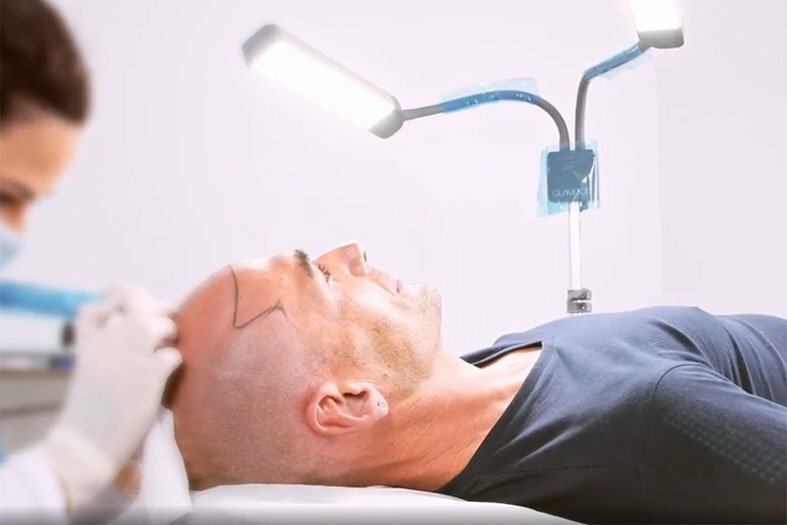 The average price of the scalp micropigmentation treatment varies between $1800 and $3200, depending on the artist you choose and the size of the treated surface. The price can go even higher, depending on how severe the problem you are treating is. Once you get a certificate in scalp micropigmentation and master your skills, with only two treatments a week, your yearly income will be $312,000. 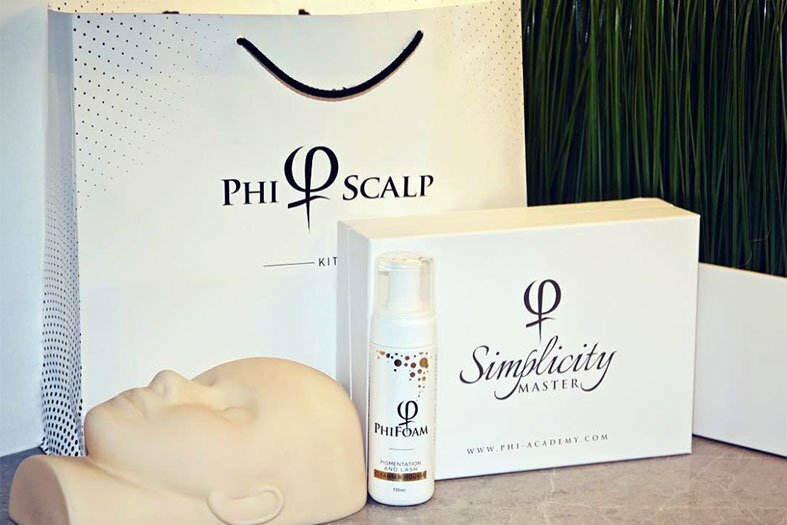 Whether you are someone who already works in beauty industry or you are considering building and marketing your own business, bear in mind that scalp micropigmentation is something still relatively new on the market and that it is becoming more and more popular. People are yet to hear about this permanent, effective and affordable solution to their problems. If you decide to become a SMP artist, your clients will be both men and women, since this problem is not only reserved for men. Grab the opportunity and become one of the leading SMP artists before the competition start to grow. Apply for the training as soon as possible and start earning your clients’ trust. The sooner you start learning, the faster you will become an expert. Just make sure you are taught by the best, which the instructors at the Art of Beauty Academy definitely are. Microblading vs Microshading: What’s the Difference?